After some record-breaking highs (hoo-whee!!! ), our heat wave has finally broken and the heavens have opened up. Don't know how long it will last, but I'm hoping it will be long enough for me to do some more posting. 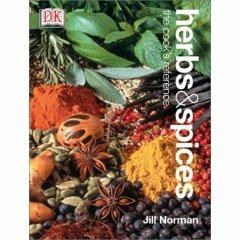 In the meantime, my review of Herbs & Spices went up on Foodbound a few days ago and I forgot to point you to it.